Today we mount the steps to the iconic guillotine again and witness the execution of a French woman who strove for equal rights for women in her native land. Playwright, orator and passionate abolitionist, the hope with which Olympe de Gouges greeted the Revolution eventually ended in bloody disappointment. Throughout her life, de Gouges dreamt of one day achieving equal rights for the women of France and the abolition of slavery. She wrote and spoke tirelessly on the subject and achieved recognition for her work, Déclaration des droits de la Femme et de la Citoyenne (Declaration of the Rights of Woman and the Female Citizen). Although she greeted revolution with a sense of hope for the future of France, her opposition to execution left her without doubts about the direction the movement eventually took. 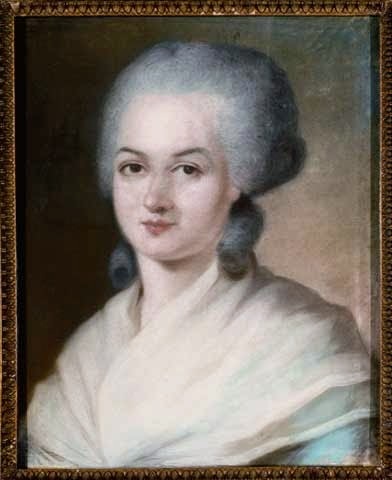 An avowed Girondist, de Gouges was vocal in expressing her feelings about the way in which the leaders of the Revolution were behaving and she wrote and published pamphlets and posters and even began work on a pro-Revolutionary play featuring Marie Antoinette and de Gouges herself! It was these Girondist leanings that eventually proved the undoing of Olympe de Gouges. Placed under arrest, her papers were used as evidence for the prosecution at a trial that dragged on for three months. De Gouges was denied a lawyer and struggled with her own defence yet she continued to write and, via supporters, even managed to publish an account of her own arrest and interrogations. If De Gouges wasn't already marked for death then these writings sealed her fate and she was found guilty of seditious behaviour and sentenced to the guillotine on 2nd November 1793. Just one day later she went to her death, a revolutionary who fell victim to her own cause. Another sad victim of a revolution that destroyed much in France. Thanks for the most interesting post. A pleasure; this was a story I really wanted to share. The way the French Revolution ate its own children is fascinating and tragic.